I was then gifted a voucher for my local quilting store and used it to buy the fabric to make this handy organiser which is next to my desk and holds all my essentials that need to be nearby, buttons, elastic, needles, bobbins etc. 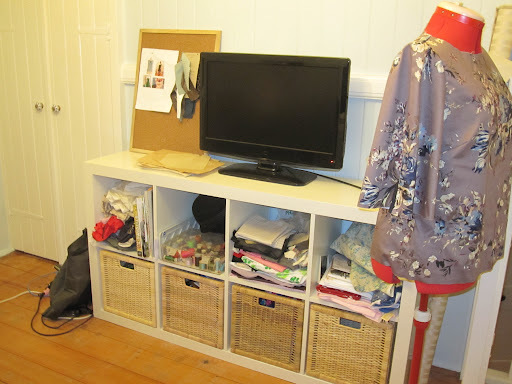 Of course I have more stuff than that so see above baskets which are also filled with trims and buttons etc. My stash is not particularly large at present and can be seen in the top right two cells of the unit above. 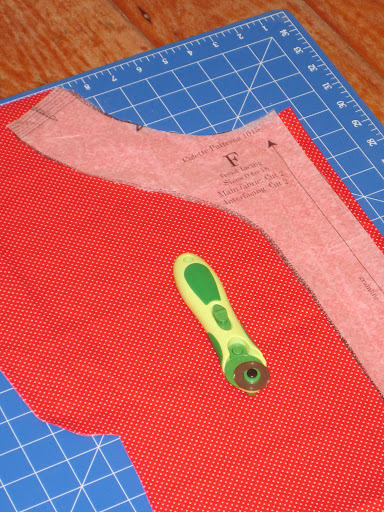 Here is my latest new toy – a rotary cutter and mat – why did I not buy one of these before now I will never know – what a time saver﻿! it's amazing, I like the hanging organiser. I get the kitchen table! How pretty!!! Love your organizer.. so pretty and know it is so helpful , having it nearby .. 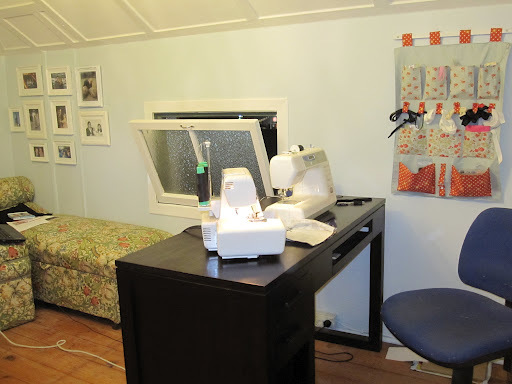 I am working on a redo on my sewing room too.. 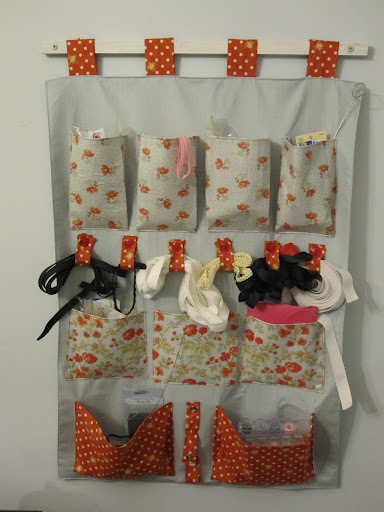 I love my hanging organiser – it really helps to have everything on hand and it was fun to use so many pretty fabrics together on it. I just posted your gift for the pin cushion swap!!! I posted yours yesterday too! Let me know when you get it!